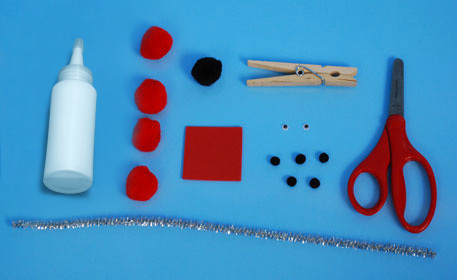 Attach this clothespin craft to a Valentine's Card and give to a loved one. 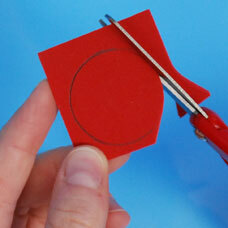 Draw circle on red foam sheet and cut out as base to bug’s body. 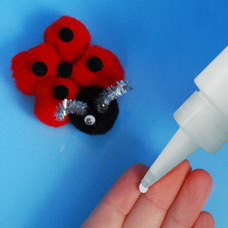 Glue (4) red Fuzzy Poms onto circle base as body. 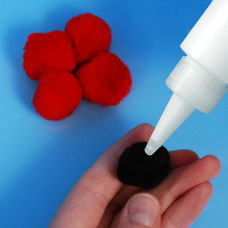 Glue (1) black Fuzzy Pom in front as the head. 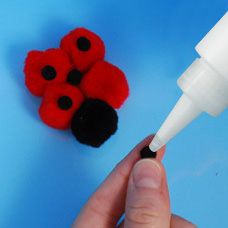 Glue (5) black small Fuzzy Poms onto body, like you might find on a lady bug. Cut (2) small pieces of Glitter Sticks. 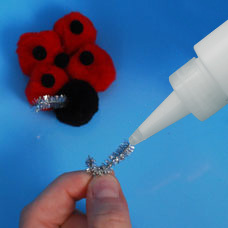 Curl ends slightly and glue onto head as antennas. Glue Wiggly Eyes onto head. 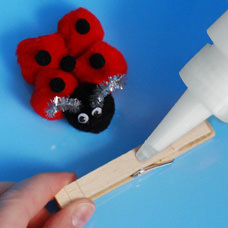 When bug is dry, glue onto Wood Clothespin. If desired, glue a magnet on back. 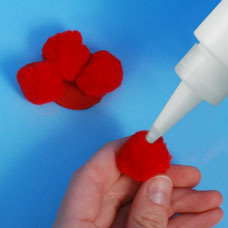 Allow glue to dry at least 30 minutes before handling. 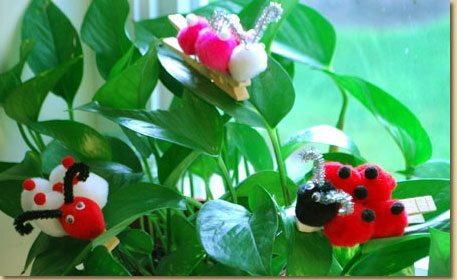 Clip a Love Bug onto a love note and share with someone you love!